As Klinik Sains 1, students are divided into groups, each with different facilitator. Listen and concentrate to Pn Norita's explanation. 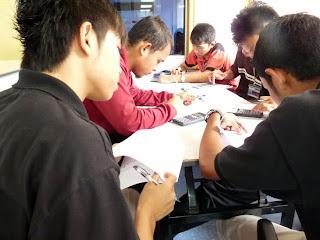 One big event, handled by JMSK to change the way of teaching mathematics. Students are exposed to real activity that involved mathematics to improve their understanding.